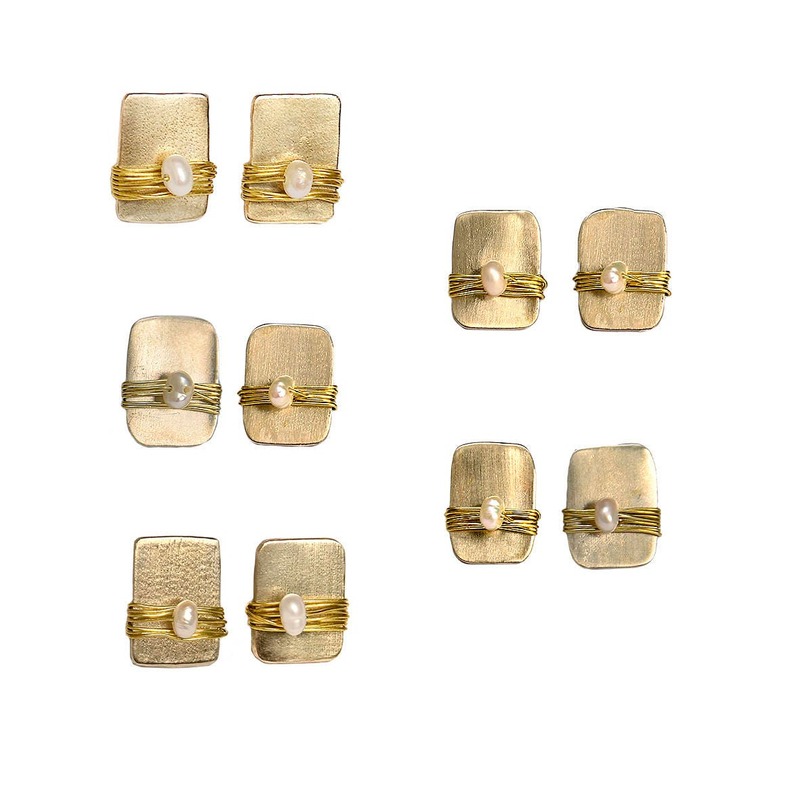 Bridesmaids pearl stud earrings set with sterling silver posts and clasps. 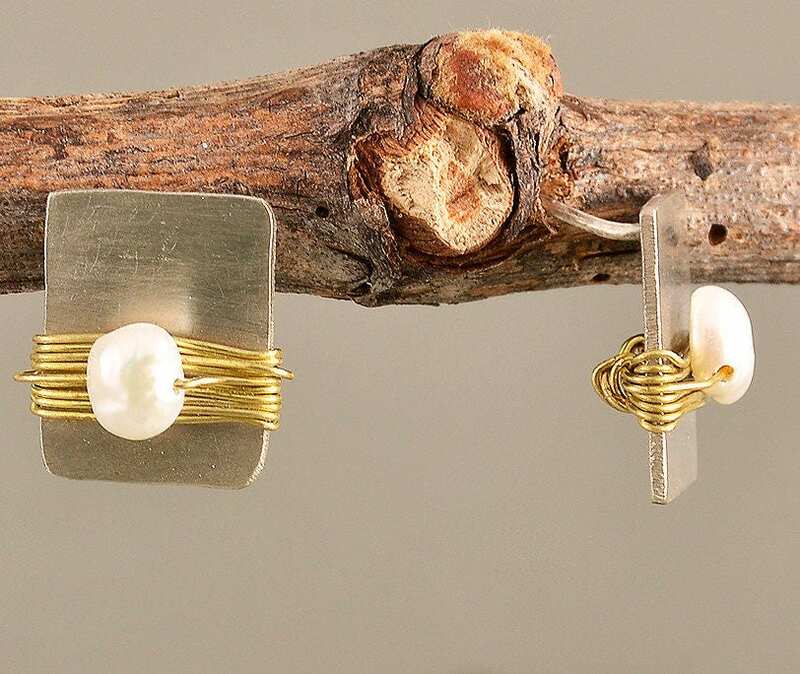 If you are looking for a made of honor gift, or a bridesmaid proposal, these small delicate silver earrings set made of alpaca or brass are an excellent gift for your bridesmaids . 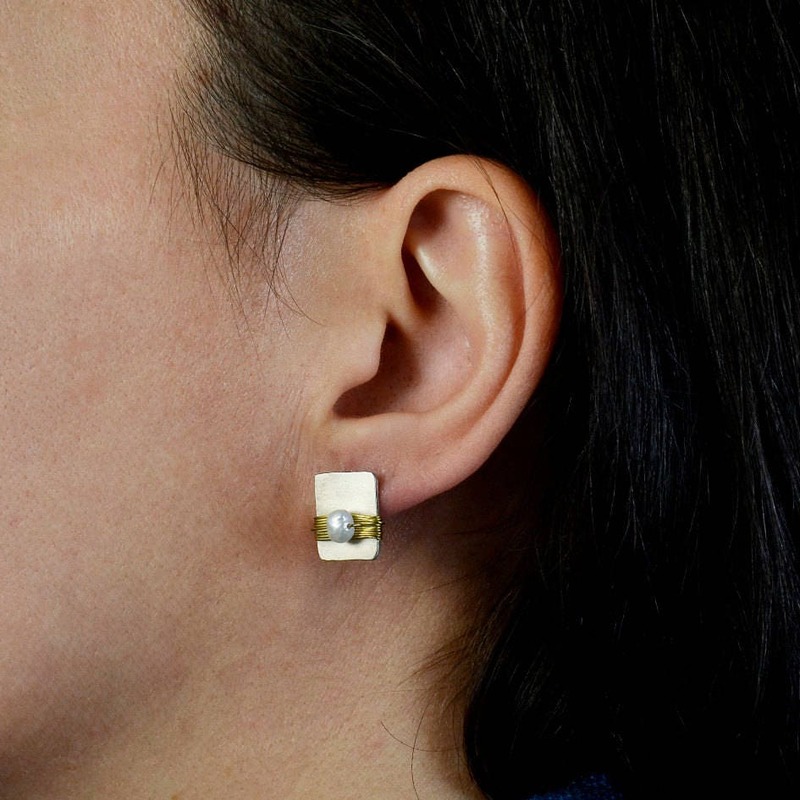 They are also an amazing delicate pair of alpaca rectangle earrings for the bride or mother of the bride. 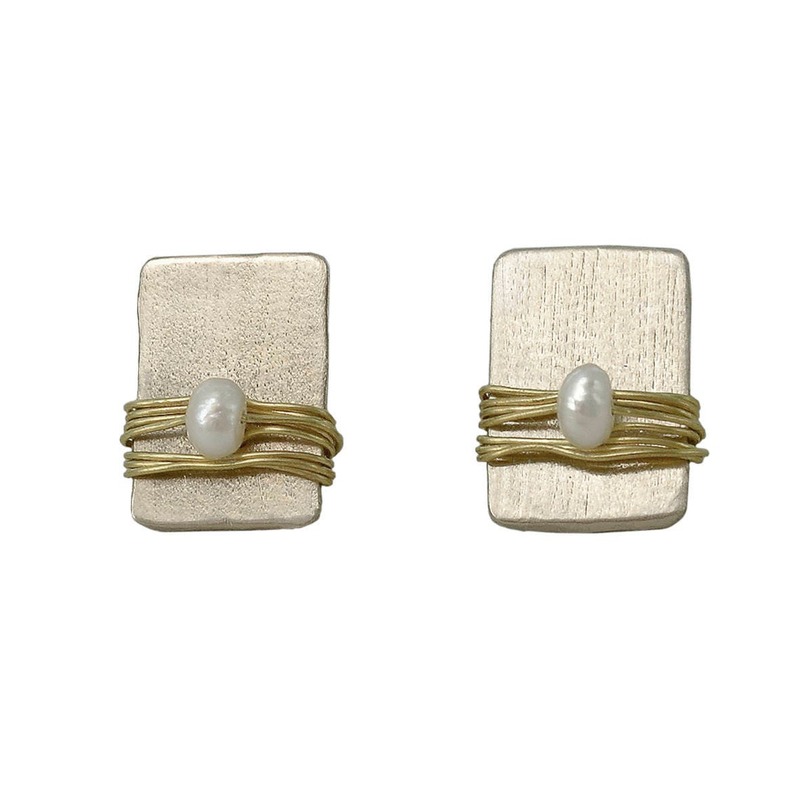 the pearls wrapped with alpaca (silver tone wire) in Select from options when ordering your earrings. 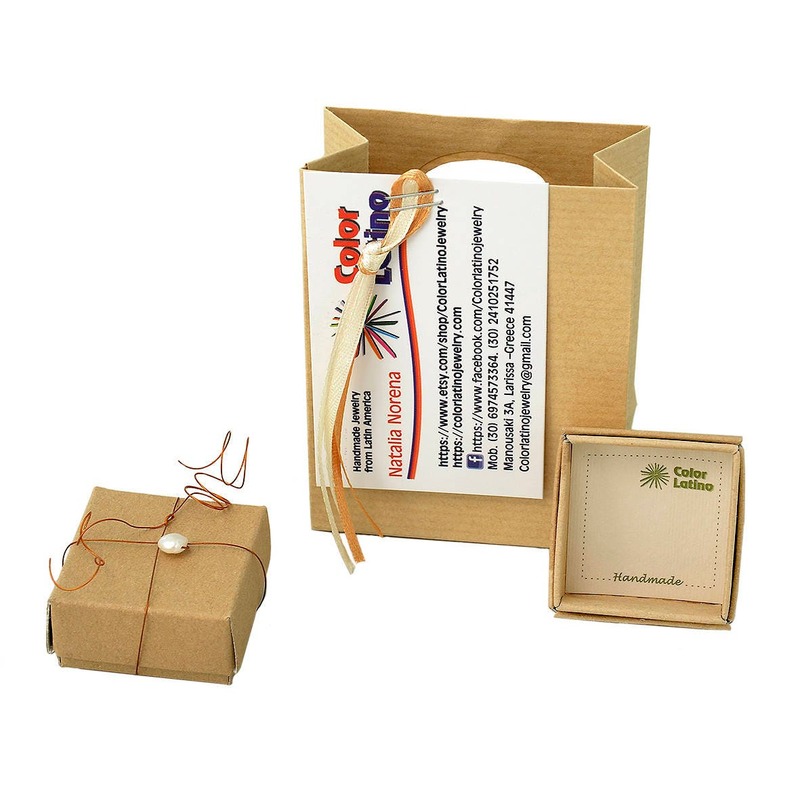 Also available in brass (gold tone metal) with sterling silver posts and clasps. 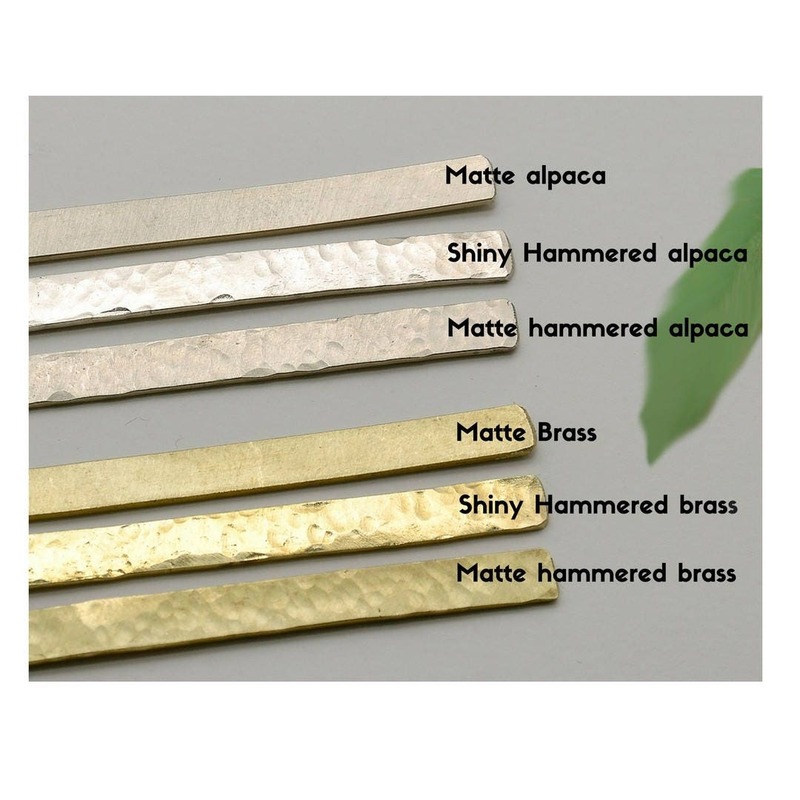 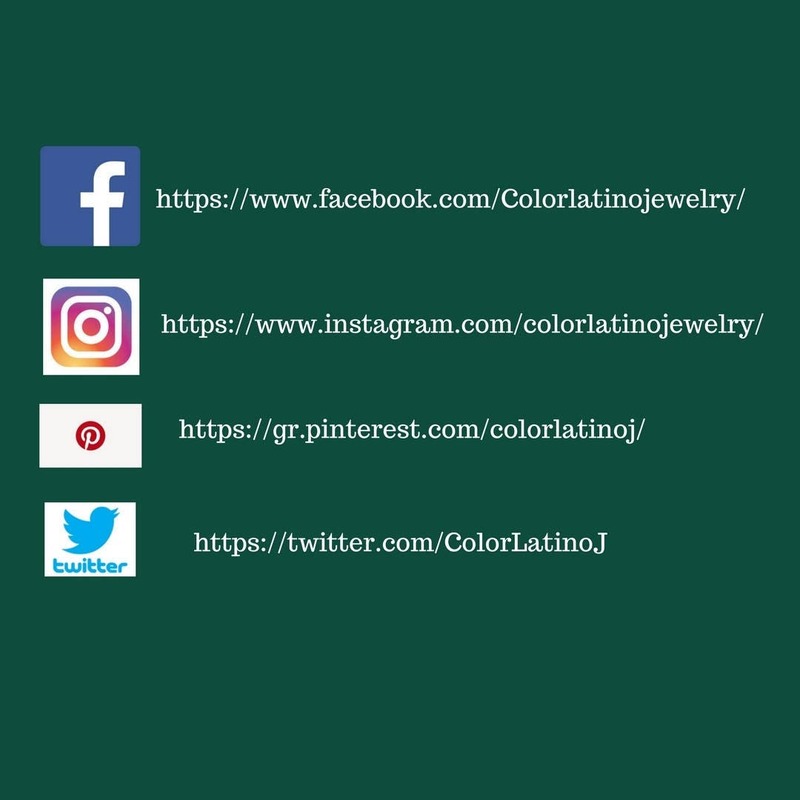 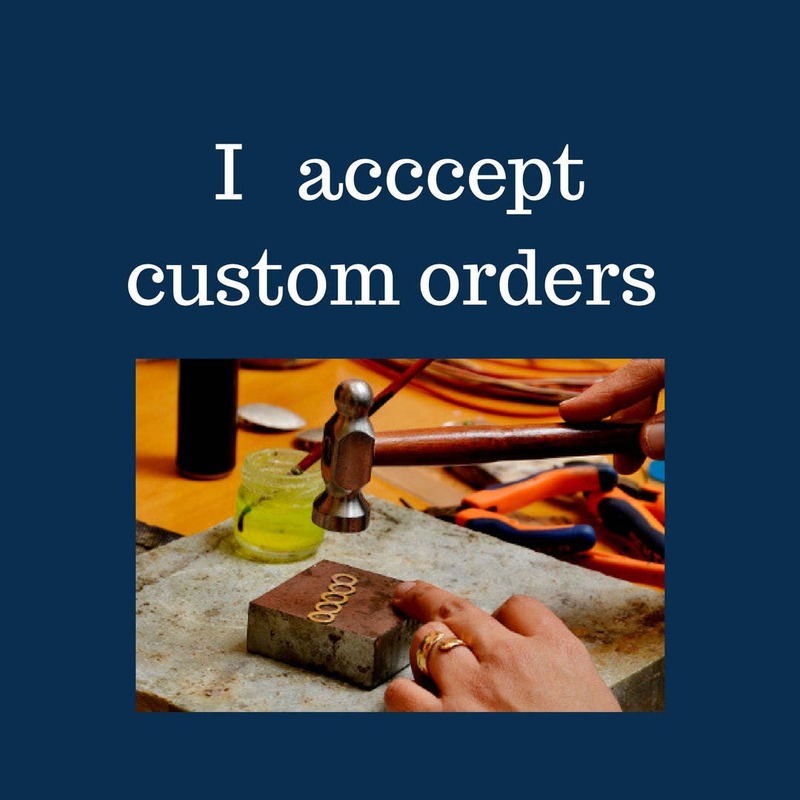 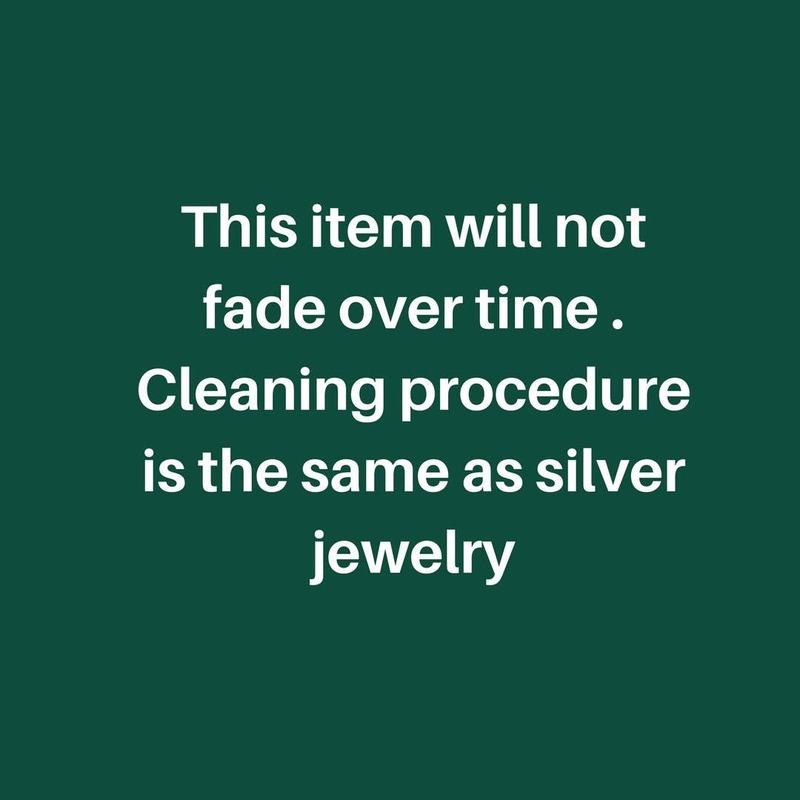 Select from options when ordering your earrings.